Two major banking brands are set to disappear from the High Street following a Virgin Money takeover of Clydesdale and Yorkshire banks, according to the Guardian. The £1.7bn acquisition is expected to lead to the loss of 1,500 jobs in the sector. Clydesdale and Yorkshire Banking Group (CYBG) will merge with Virgin Money to form the sixth-largest bank in the UK with a total of more than 6m personal and small business customers and a lending book of £70bn. The merger is led by CYBG but the resulting entity will carry Virgin Money branding, marking the end of the road for two Victorian banking brands. Clydesdale Bank dates back to a first branch in Glasgow in 1838, while Yorkshire Bank was founded in Halifax in 1859. There are currently 70 Clydesdale Bank branches and 97 Yorkshire Bank branches. 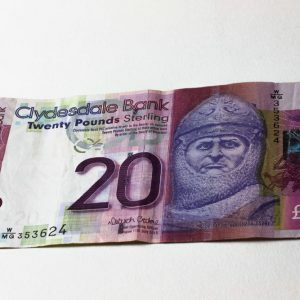 Clydesdale Bank is unusual in that it issues its own banknotes, leading some to question whether the currency could be amended to feature Virgin founder Richard Branson’s visage. However it has been confirmed that the notes will continue to feature the traditional Clydesdale imagery. The enlarged Virgin Money will seek to challenge the ‘Big Five’ UK banks (HSBC, Lloyds Banking Group, Royal Bank of Scotland, Santander). The next largest challenger bank, TSB, is half the size that Virgin Money will be following the merger.